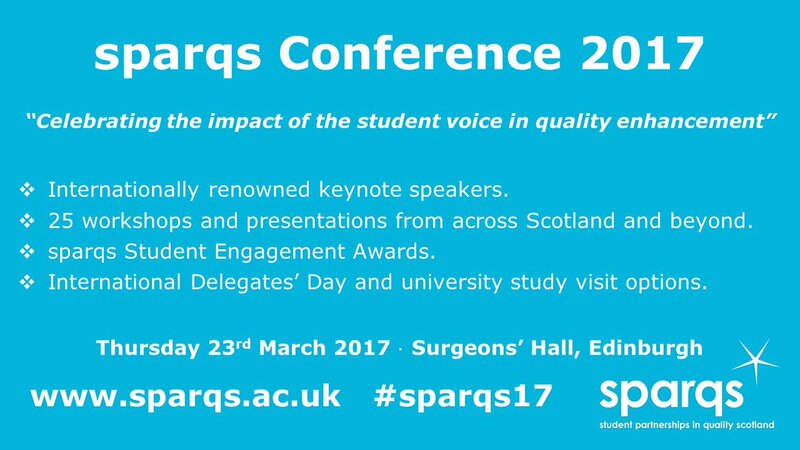 SPARQS hosted its annual conference on on Thursday 23rd March, under the theme ‘Celebrating The Impact Of The Student Voice On Quality Enhancement’. Shirley-Anne Sommerville, MSP and Minister for Further Education, Higher Education and Science, opened the conference, followed by highly interesting and engaging keynote sessions including NUS Scotland President Vonnie Sandlan, Adam Gajek from the Europen Students’ union, and Rebecca MacLennan from the Scottish Council for Development and Industry. 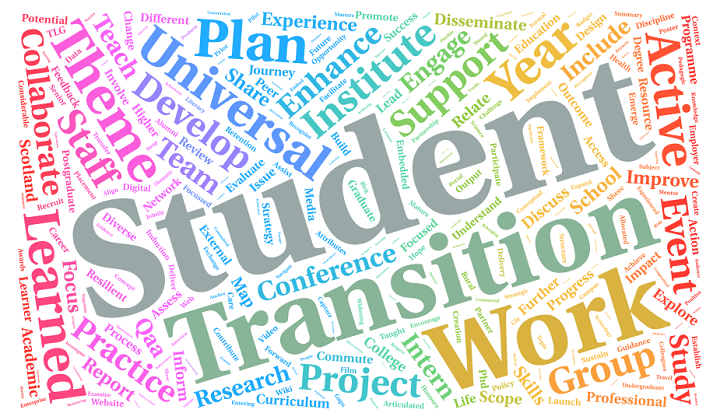 It was a great honour for our team to be offered a funded place to present at the HEA conference Ready for retention: effective systems for transition and student success. 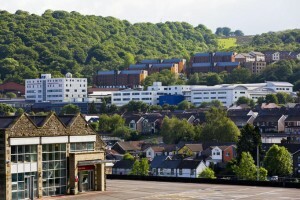 This invitation-only event was hosted by the University of South-Wales’s Pontyridd campus on the 6th and 7th July 2016 and dealt with issues surrounding the themes of transitions, retention, and student engagement in Higher Education. 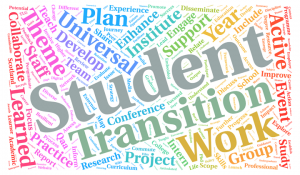 The information event on the Enhancement Theme Student Transitions Navigating transitions: transition skills was hosted by the QAA Scotland in Glasgow on Thursday 5th May. 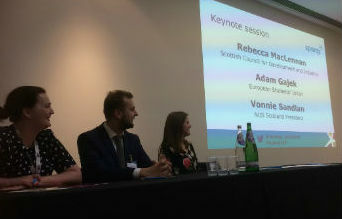 The event opened with welcome talks reminding us of and highlighting the importance of the current Enhancement Theme to improve student retention, progression and completion. The rest of the event was dedicated to presenting the QAA research and innovations on Student Transitions. Spring new beginnings for the transition theme team! As Edinburgh is slowly progressing towards spring, our transition theme team is also experiencing its early spring changes! We have now officially moved to our new office on the seventh floor (room B.7.37) and I will be replacing the irreplaceable Imi Dencer-Brown as the team’s research assistant. December 1st saw the final Theme Leaders’ Group Meeting of 2015, followed by lunch and the Institutional Team Meeting with representatives from all Scottish Universities at the Carleton Hotel, Edinburgh. 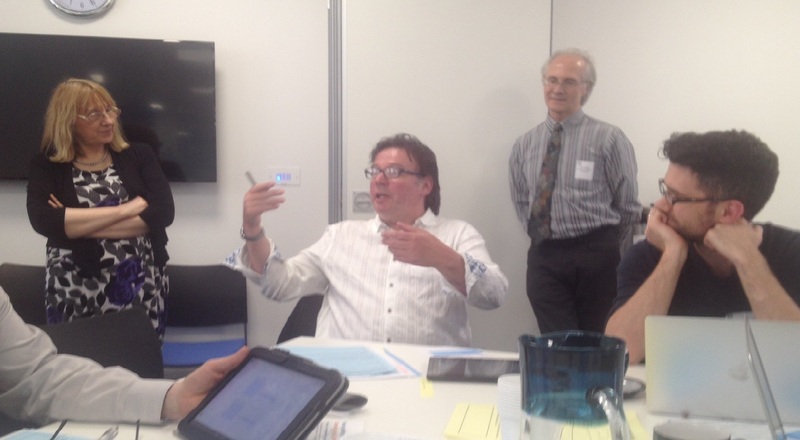 This event was a great opportunity for Edinburgh Napier’s team representatives to meet with each other and share practice within the University as well as having the opportunity to ‘buy and sell’ our own ideas and wishes as a University for student transitions in 2016. Our Coming from College Welcome Day was an innovative induction experience for Direct Entry students held on 4th September 2015 at Sighthill campus. (Thanks to Greig Kelbie, Maxine Wood, Imi Dencer-Brown, and Katrina Castle for providing the information for this post). 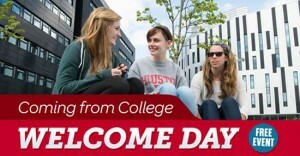 Through a variety of interactive workshops, the Coming from College Welcome Day aimed to provide 200 new direct entrant students with activities enabling them to go on and make the most of their university experiences. In particular, the NSA and University wanted to create a sense of community for new direct entrants and to provide them with a positive all-round student induction experience.